The racing club’s Simon Chladil applies the finishing touches to the function centre for tonight’s Gold Cup Ball. 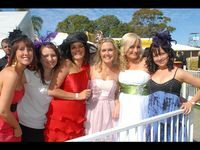 The gala is a prelude to the big race carnival days on Wednesday and Thursday. 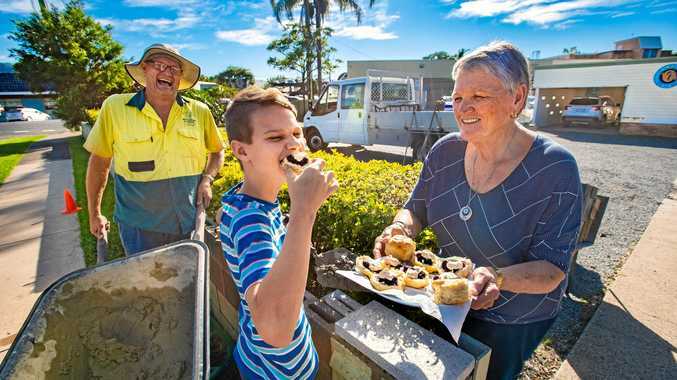 THE glamour associated with the Coffs Cup carnival takes on even greater significance tonight. 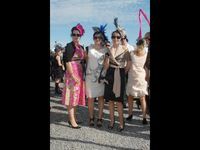 The Coffs Harbour Racing Club will for the first time host the Gold Cup Ball, an evening of fashion, dance and entertainment to kick off a big week of festivities across our city. The gala is a chance for the club to celebrate its long and proud links with our city, which is marking 150 years since its gazettal. 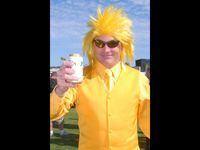 “It was time to bring the ball home,” said Coffs Harbour Racing Club events manager Simon Chladil. Prior to our 2000-2001 refurbishment, the club was not in a position to hold it. Now we are and it’s time we did. “The gentlemen will be in their finest black tie suits and the women will be in extremely elegant evening gowns, some of which I have seen. For the history buffs, the first race meeting at Coffs Harbour was on May 13, 1885, and the inaugural Coffs Cup was run in 1949 when 2600 punters flocked trackside. Fast forward to next Thursday’s Coffs Harbour Gold Cup day which will cater for as many as 9000. “The weather is looking absolutely fantastic, the track is a treat and we’re looking like we’re having one of the best carnivals yet,” Mr Chladil said.